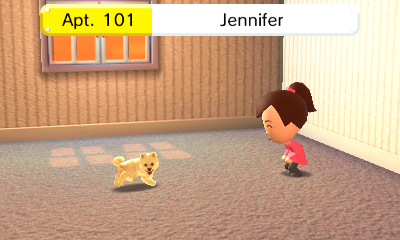 The game lets you have up to 100 Miis living in the apartment and, once married, houses. These Miis will have special bubbles that show up outside their apartment window and when you visit them to let you know what they want to do–whether it be playing a game, having a problem, needing relationship advice, or just wanting to make a friend. You can encourage them to follow their heart and/or introduce them to people or tell them you don’t think it’s a good idea. 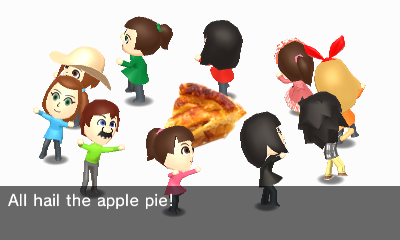 While your Mii can sometimes get sad from your choices, it’s not too hard to cheer them up. 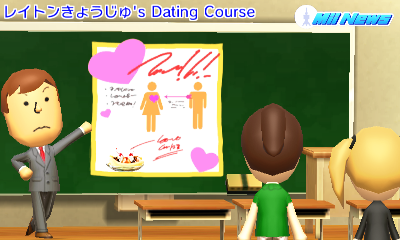 You can also edit a Mii at anytime (Their voice, personality, appearance, etc.). Plus you can interrupt them just idling around. As for what they on their own… it’s not much. Besides the prompts they can give mentioned above, they can wander around anywhere on the Island–whether it be one of the many places you open up or just a friend’s apartment, change their clothes to any of the apparel you give them, and randomly use any of the items they have in their inventory. They can even get a part-time job. Though…they don’t get paid for it. 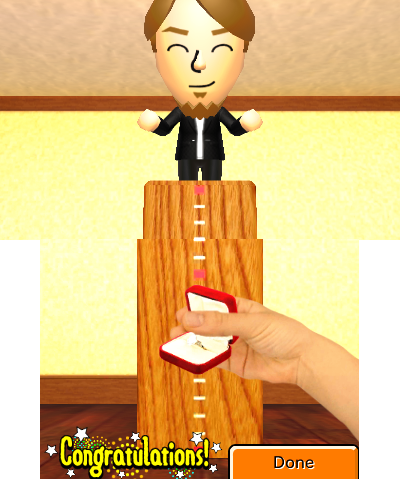 Moving on, there’s still a lot of fun just doing events around the island and playing games with your Mii. I often found myself easily getting taken in and wanting to do tasks for all the Miis living in the apartment and would get a bit lost in thought with just wanting to do “one more” and then seeing another pop up and wanting to help. Even though the events don’t vary by day (Just who and if it’s still going on, you can literally leave and pop back in for some different people), they are still pretty fun and amusing to watch. 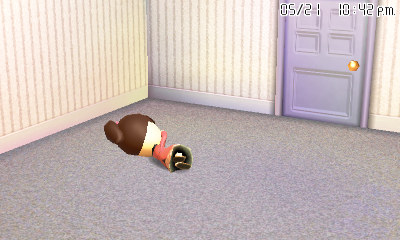 I would say the biggest issue is most Miis (if not all depending on how many you have–I find like 90% of my Miis) will immediately be heading to bed as soon as it hits 9PM. 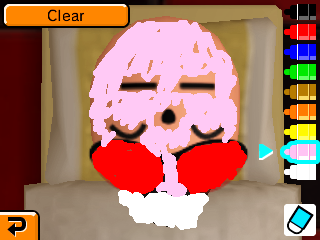 I mean, even in Animal Crossing the earliest that Villagers go to bed is midnight. 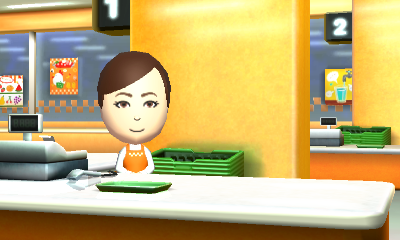 The shops and areas are all opened in Tomodachi Life 24/7 (though, events only last for their specific hours) so this is really weird to me. They usually won’t have a weird dream more than once per their sleep period (though, I’ve had twice from the same person at the most) and they do take naps randomly (which you can wake them from) where they can as well. It’d be nice if you could wake them (since you can still visit unless they are in their marriage house) or at least still look at their inventories and stuff. But other than the stat thing at the top, once they are asleep you can’t access anything. It’s just a bit disappointing and having known many people who don’t get home until around 9PM and thus, can’t play anything until then it feels like a weird choice. I am also disappointed that the interiors are all essentially “set in stone”–you can’t customize them in any way and what you see is what you get. There’s so many nice interiors and I’d definitely love to pick around a bit from things I like in various ones. Not to mention you get so many special “Treasures” and I think being able to actually decorate a Mii’s apartment with them versus just using them for money would be nice. Similarly, you can’t decorate the house (though, you can still decorate their apartments) that couples move into at all which kind of stinks. I would’ve loved to make them more unique. One of the other minor issues is this is another game that lacks any kind of online gifting/trading. 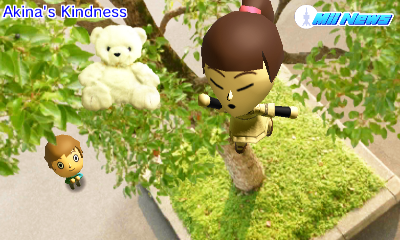 You can still give eachother Miis (yes, the actual ones from your apartment) through QR codes, but besides that it’s all local play and StreetPass. It just seems like an odd choice to not have a way for friends who don’t live locally to be able to help eachother out with things when advertising a game as one that people who enjoy Animal Crossing will like. One last thing is each Mii only has 8 inventory slots of miscellaneous items. 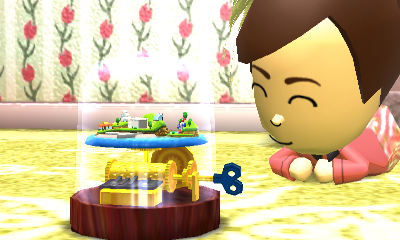 These are the items that control what your Mii may do in their room and while out and about. While 8 slots isn’t bad at first, it’d have been nice if the slots increased as they leveled–right now, by the time your Mii gets to about level 17, you’ll run out of things to give them unless you really like one of the special interiors (It’s nice for some of the Miis, but not all) or really want to keep giving them money (And I’m not even sure if they will still want it after they hit 10K). You can always replace one of the 8 items of course, but if you really like them you’re not going to want to. When a Mii has hit level 20, you have the option of giving that Mii any hat or outfit you’ve gotten even if you have run out of it inventory-wise. This is a nice feature, especially for ones you can only get in dreams, but even then I only see so many I’d want to before I’d be running out again versus the 25+ items which could keep the gifting going. Moving back over to the positive qualities of the game, everything it does have is a lot of fun. The StreetPass feature is really neat (though, I wish I could have a copy of the outfit I picked to send out…), the Concerts are tons of fun (though, I wish there was an easier way to reuse songs with changed lyrics with different groups versus typing them in again all over), and as odd as it may sound, there’s a lot of enjoyment in helping out these Miis with their lives. Plus, the game actually lets you take photos of both the top and bottom screens using X and Y respectively. It’s really nice, saves right to the SD Card, and is pretty much instant with it’s photo taking. The music is also really nice–it doesn’t feel too repetitive, the songs are enjoyable to listen to (with the exception of the “I’m mad” music, but I believe that’s intentionable)–even the sad music is very nice. And there’s multiple songs with the music box! The graphics are also interesting–essentially higher quality versions of the sprites from the Mii maker with various items that look fairly realistic. I think it adds to the craziness of the game though. There’s also a large amount of items to collect (many in various colors) for those who enjoy doing so and seeing how Miis interact with various goods and trinkets is a great sight. You can even re-see dreams using Hypnotism which is quite fun, even if you don’t get the item you’d get from seeing it normally. I think if the few disappointing elements aren’t huge to you and you enjoy simulation games, you’ll have a lot of fun with this. As previously mentioned though, a lot of the craziness is in friendships/relationships and dreams (not all though–just them wandering around can be silly in its own right) so there is some patience involved too. Regardless, if you’re someone who just wants to see what happens and go around collecting things, you’ll probably enjoy it a lot. If you feel you could get impatient waiting for Miis to become friends, you may want to look up videos or try it first. 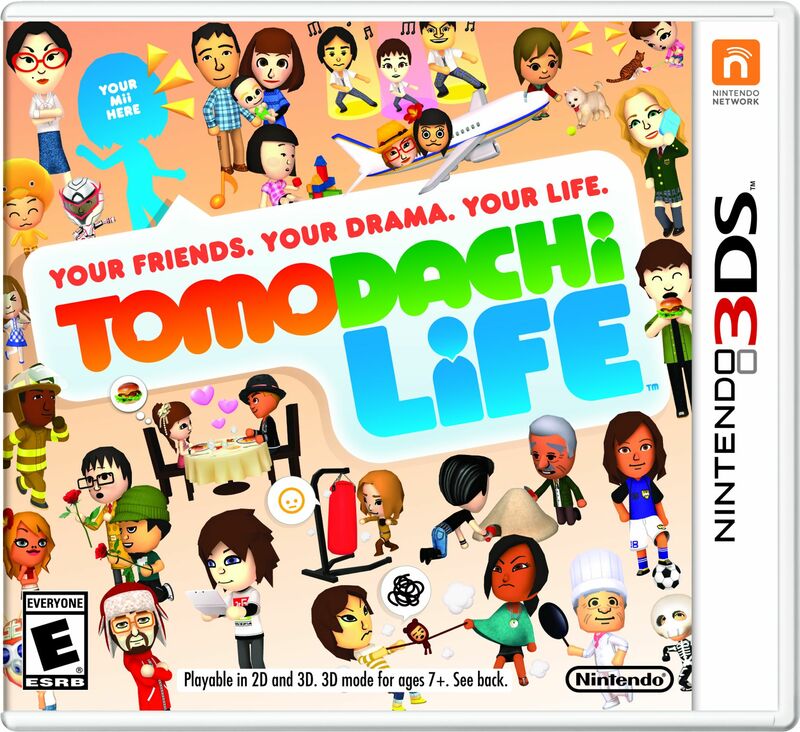 I think the game is a lot of fun and I’ve found myself wanting to just keep playing even when I say I’m almost done just due to the addictiveness of seeing what these Miis will get up to next. The big thing to keep in mind is the game is really quite random and is actually hard to describe. It gets silly and zany and really unpredictable at times. But it never gets boring to watch. 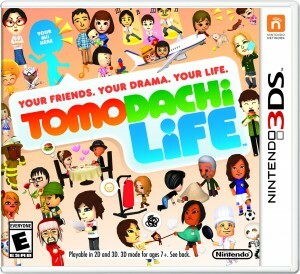 Overall, I give the game an 8/10 and hope the game series will continue to make its way over from Japan. And while the game may seem odd, don’t underestimate it–it’s highly addictive.